While the US is openly wooing India, there are no signs that New Delhi is going to give up its longstanding defense collaboration with Russia. Speaking to Sputnik, Indian analysts emphasized the country's "strategic autonomy" as New Delhi's major priority and presumed that the US's apparent plan to bring India into NATO’s fold would fail. Having granted India a waiver under the Countering America's Adversaries Through Sanctions Act (CAATSA), Washington made it clear that it wanted New Delhi to "reduce inventory of Russian-produced major defense equipment and advanced conventional weapons." However, India appears to be determined to continue defense cooperation with Moscow. Thus, Russia has tossed its hat into the ring of India's tender for the supply of 111 light multipurpose naval utility helicopters (NUH) and is currently taking part in New Delhi's Project 75I tendering procedure that envisages the procurement of six conventional submarines. It seems that the US might not be happy with the bolstering of Russo-Indian military collaboration. Meanwhile, Russia's Sukhoi Su-57 fifth generation stealth multi-role fighter was publicly demonstrated at the latest Army 2018 International Military Technical Forum. Two of these warplanes will be soon delivered to the armed forces. All in all, the Russian Aerospace Forces will get 15 Su-57 fighters in the near future. Still, the designers will continue developing the aircraft. It is expected that the jet will have enhanced artificial intelligence capabilities. 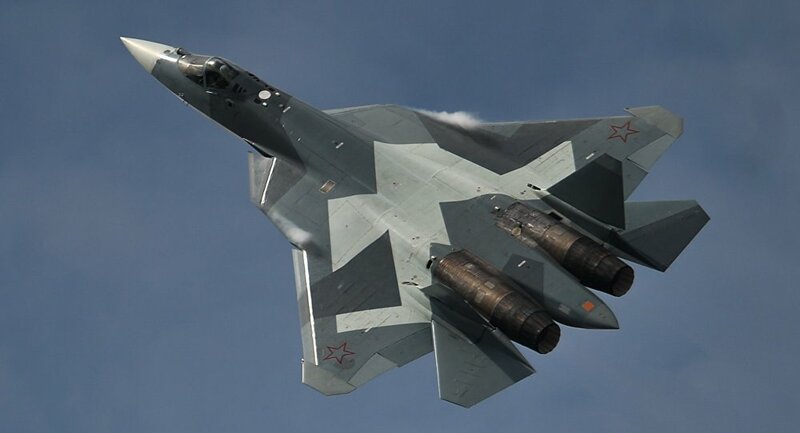 Russia and India have jointly developed the new stealth fighter, previously known as the T-50 or PAK-FA, under the Fifth Generation Fighter Aircraft program (FGFA) for about 10 years. Reportedly, the Indian Air Force was not quite satisfied with the initial version of the plane's engine. However, the latest trials of Russia's cutting-edge Saturn "izdeliye 30" engines, which boost the Su-57's maneuverability and provide it with supersonic speed, have indicated that Russian designers are working against the clock to keep the aircraft up to date and on par with foreign analogues. Meanwhile, India's own fifth-generation fighter is reportedly expected to make its maiden flight in 2032. Amrita Dhillon, a foreign affairs analyst and founding editor of New Delhi-based Kootneeti magazine, and retired Maj. Gen. Rajiv Narayanan, shared their views with Sputnik on the issue of Russo-Indian defense cooperation. Sputnik: What was behind supposed frictions between India and Russia over the joint fifth-generation stealth fighter project? What about India's own fifth-generation Advanced Medium Combat Aircraft (AMCA)? Maj Gen Narayanan: There were a few issues that India was concerned with: a) a lack of sharing technology and security codes that would have ensured continued dependency on Russia — something that went against the grain of "Make in India"; b) there were doubts over the levels of stealth it would provide and over the competitiveness [of the Su-57] among stealth aircraft in service of other nations because of production delays; c) the issue of engines and the need for their servicing in Russia at very short intervals was also problem. The AMCA is a work in progress as a multi-modal project that is looking at public, private and joint-venture (JV) modes to fast-track its development. Sputnik: What do you think about Russia's chances of winning the ongoing Project 75-India tender on six diesel-electric submarines in India? What do you know about the tender? Indian military blog India Defense Research Wing has suggested that the US may throw sand into the gears of a potential Russo-Indian deal. What's your take on that? Maj Gen Narayanan: The Project 75-India is the follow-on project to the Project 75 Kalvari Class submarines (based on the French Scorpene Class submarines). These submarines would have advanced air-independent propulsion (AIP) systems. India intends to make all six submarines under this project in Indian dockyards. There are only four countries in the fray: France, Germany, Spain and Russia. As the Indian Navy has the necessary expertise in using and sustaining Russian submarines, and now the French submarines, it would be difficult to say which way the deal swings. Indian Armed forces now use the "life-cycle" costs approach to make the best deal. As such it all depends on who meets the technical and commercial requirements of the Indian Navy. India follows the concept of "strategic autonomy" and keeps in mind its strategic and core interests. To ascribe the capability of the US to dictate on India's core interests would be grossly incorrect. India also looks at Russia as its essential strategic partner. 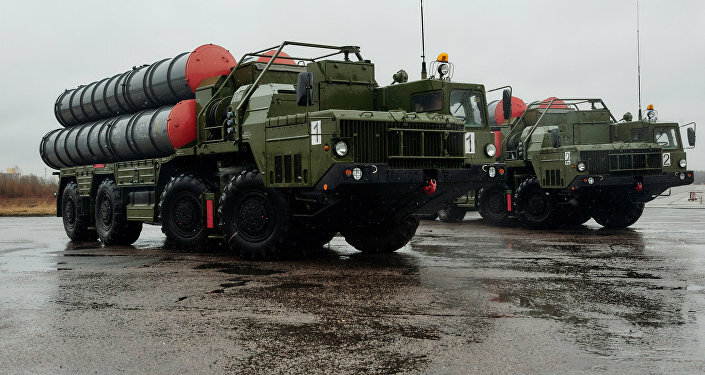 The waiver for procurement of S-400 systems from Russia is a case in point. The Project 75-India would go to the country that best meets the needs of the Indian Navy. Sputnik: The Trump administration has recently granted Strategic Trade Authorization-1 status to India. India has become the third Asian nation to receive this status from the US after Japan and South Korea. What does this development mean for India? Is the US trying to bring New Delhi into NATO's fold, in your opinion? Amrita Dhillon: India appears to be a big beneficiary of STA-1. It will boost the countries' cooperation in the areas of civil space, defense and other high technology sectors. However, in my view, the Trump administration's decision to put India in STA-1 from STA-2 is more business oriented. It is designed to remove the Congress and Senate limitations of conducting defense trade with India and makeover the failed Lockheed Martin deal over Rafale. 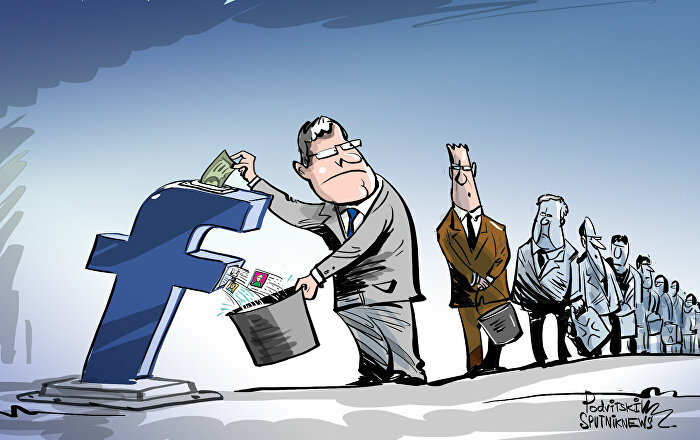 Another reason in my view is the mid-term elections, which will be held in November. Being the largest defense market, India will be an outstanding force in driving jobs in the US (something on what the Trump administration is focused). This also indicates clearly that India has all the qualities to fit in the Nuclear Suppliers Group (NSG), where China is blocking its entry. Being a non-NATO country, India will follow its national interests. This is a little known fact that the Indian Navy is the only warfare service branch in the world which integrates American sensors with Soviet era technology. So, going into the NATO fold will never be an option for India by any means. Maj Gen Rajiv Narayanan, AVSM, VSM, who retired after 37 years of distinguished service, as the ADGMO (B) in 2016, has been closely involved with Future Strategy, Force Structures and Force Modernization. He's also a distinguished fellow at the United Service Institute of India. Amrita Dhillon is a foreign policy analyst and founding editor of The Kootneeti, a New Delhi-based multilingual publication on international relations and diplomacy. She's also a honorary fellow at Equilibrium Global — Buenos Aires (Argentina).